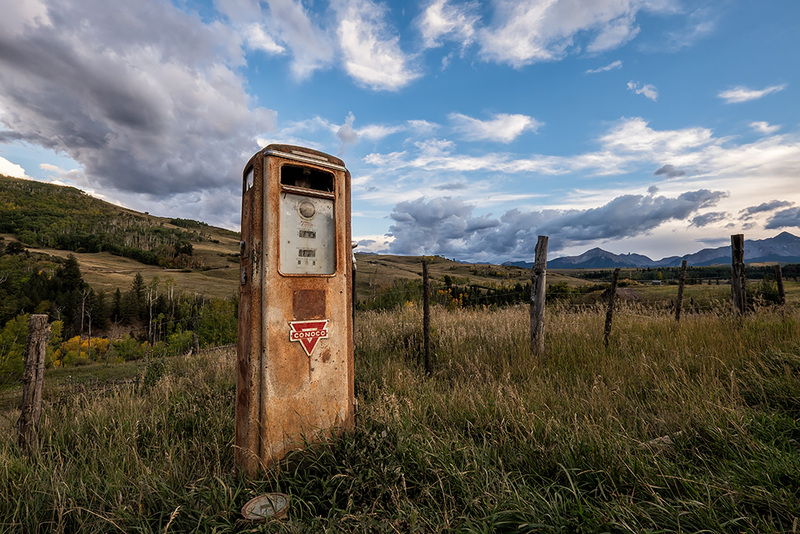 Found this lone gas pump on the side of the road three years ago. We could not resist another run at it on our scouting trip. Especially with the nice sky behind it. For those living in my area, I have two spots available for my upcoming Fonthill Castle Workshop on November 2nd. Details on my WORKSHOP page. Nice image John. You had great light and sky for this one. You have to love how this strange object is just sort of there in the landscape. Glad you stopped for this one. Looks very familiar! Have a terrific workshop. Yup, it should Scott. Tour over and I’m home. Nice image…clever capture of the pump and it fits perfectly with your sky! As usual….